In 1976, Dale and Carol Hoffman moved their young family and 40 cows the “God’s Country” Potter County from Snyder County, PA. Now, 42 years later, 3 generations operate the 800 cow dairy. With the expansion of their herd over time, the Hoffman’s have implemented innovative practices, improved calf care and continue to be good stewards of the land and it’s resources. 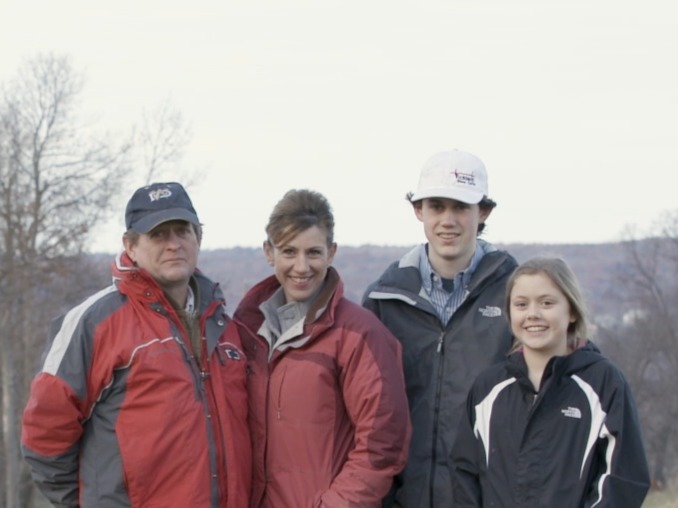 The Hoffman Family was honored to receive the National Beef Quality Assurance Award, in 2017. This honor is awarded to producers who go above and beyond to ensure proper cattle management on their farms. For Tricia Adams, not only does she support the BQA protocols that the farm follows, she shares the farms story via Facebook. The location of the farm also lends itself to also be a great resource to the community for school and community tours. For a farm that produces over 9,000 gallons of milk every single day, the Hoffman’s still believe that their success comes from doing the little things right. Dale Hoffman says “if you take care of the cows, the cows will take care of you”. Dunn Herefords operated by Bill, Bobbi, Walker and Reagan Dunn is a cow-calf operation with both purebred Herefords and commercial black-baldy cattle.